28/05/2006 / Be the first to comment! / Be the first to like this! 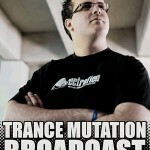 60 minutes of the most banging big-room tech-trance, mixed by Jordan Waeles ! A set that will make you restless ! 14/05/2006 / Be the first to comment! / Be the first to like this!